The barcode printers feature standard Ethernet connectivity, providing SMBs with high-quality label printing at advanced speeds. Competitively priced, Wasp hopes to deliver its customers the most efficient, cost-effective printers on the market. The WPL612 is ideal for manufacturing, warehouse, and shipping and receiving industries. It contains a die-cast aluminum construction, including print head, for improved durability and the ability to withstand the toughest production environments. The WPL612 can produce 20,000 labels in one run, while still providing the fine print and graphic labels for the highest quality in printing. 203 DPI is standard, but 300 or 600 DPI print heads are available to fit all printing needs. 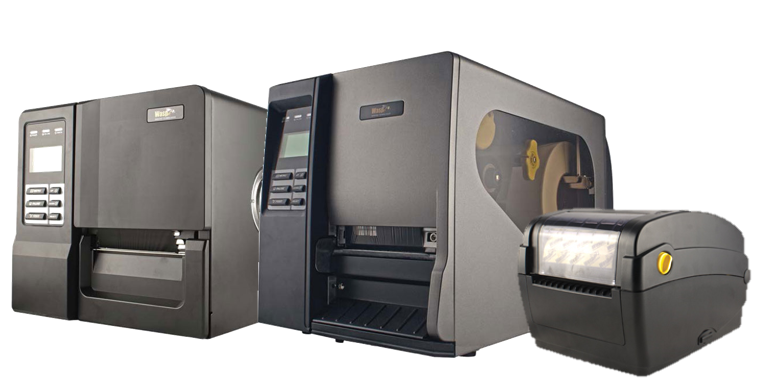 The WPL406 is an entry-level industrial printer featuring a low-profile design, all-metal exterior housing, and die-cast aluminum print mechanism able to withstand high volume print applications of up to 10,000 labels per day. Add its multiple connectivity options, including Ethernet, and the WPL406 is very easy to integrate into any printing environment. Wasp’s WPL304 desktop printer offer offers four connection options: Ethernet, USB, serial and parallel. The WPL304 is compatible with Wasp and other major ribbon media offerings, making this printer one of the most flexible, versatile printers available. It is also the smallest 4-inch format printer Wasp has ever made. For assistance finding the right Wasp printer for your business needs, contact us at BarcodesInc.